Now you have sent in your visa application details but you are wondering how long you will have to wait before it is processed. This article is designed especially for you. The processing of Canadian visa in Nigeria varies from time to time. Although, the website may state a number of days which appears to be short and bearable (for example, it currently states that it takes 37 days to process a visitor visa), you must bear in mind that this duration is usually longer and unstable. Two people who applied for a visitor visa at the same time may get their approval in extremely different number of days. While one may receive his in a few weeks, the other might have to wait months. We cannot categorically state the reason for this but we do know that several factors affect the visa processing duration of each visa application package. The visa processing period also varies depending on the type of visa class you have applied for. Although it is possible to give a time frame for processing of the various types of visa, it all still depends on a number of factors and conditions surrounding the visa application package submission. The following are different classes of Canadian visa Nigerians apply for and the time frame for the processing of each category. These durations are based on the average processing times calculated by the Canadian government through the Immigration, Refugee and Citizenship Canada (IRCC). Note: The visa processing times stated below are exclusive to Canadian visa applied for in Nigeria only. This class of visa includes those issued to people just visiting Canada as tourists or to visit family, students applying for students’ visas or study permits and also work permits. Visitor Visa: The average processing duration for a Visitor’s visa is between one to two months. Work Permit: The work permit can take as long as three months. Students Visa: this could take about four months to get it approved. For skilled workers (Quebec): the visa processing period is 14 months. Processing times are provided to inform you about the time it takes the Immigration, Refugee and Citizenship Canada (IRCC) to process your applications. This means that the visa processing time does not include the period it took the Visa Application Centre where you applied from to send your complete package to the IRCC. The visa processing time is calculated from the moment the IRCC receives the visa application from the VAC (Visa Application Centre) to the day the visa is approved. The visa processing duration provided by the IRCC varies depending on how many applications they receive at a particular period, therefore if your visa package falls into a time where there are not so many applications, then the processing time might be shorter and vice versa. The duration of visa processing calculated by the IRCC is done frequently and is based on the average time it takes for them to process visas at each period. The number of application packages received at the centre. Like I earlier described, a large number of applications on ground can result in a prolonged duration of visa processing. The availability and efficiency of resources at the visa office or centre can also affect the visa processing time. If the staff are sloppy or some machines are faulty, then your visa processing might be delayed. Mail service operations availability and efficiency: the faster the mail service is, the less the visa processing duration. It is usually advisable to include an additional 10 days for transit purposes (that is the time it takes for the application to be sent and received from your region to the IRCC and vice versa). Another factor that affects the visa processing time is your own speed of response as an applicant to requests for documents or information from the Visa Application Centre or visa offices. If you do not respond to requests promptly, your visa application is most likely to be delayed. Also, be careful not to compare the time it takes for another applicant to receive his visa package to yours. Visa application packages are processed on a ‘first come first serve’ basis that is in the order in which they are received at the IRCC (not the order in which you submitted). Also the period for initial review of different visa applications vary and there is no fixed time for these reviews. In order to fasten your processing time, you may apply before peak period (summer time) when there are usually fewer number of applications. 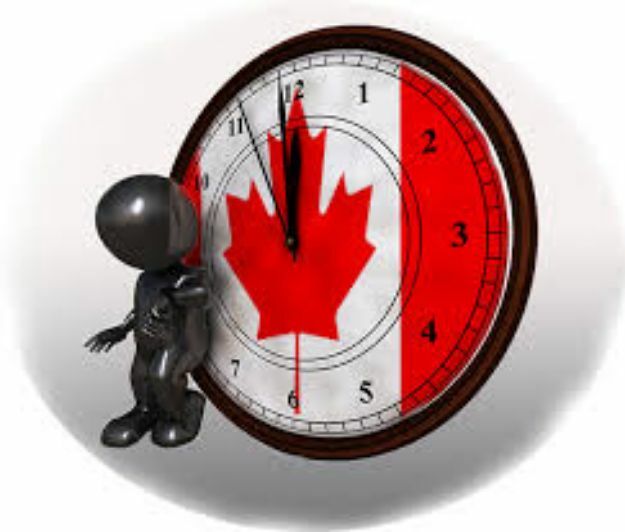 Finally, to determine the current processing time for a particular application at any point in time, please check the Canadian Immigration website by clicking this link. All the best in your visa application! This is insane to say that nobody knows exactly how long it takes to issue a simple visitor visa. I applied for US visa and I got it precisely in 20 days from my submission of online application (this includes interview appointments also) which was actually less than the time they specified. I’ve traveled to more than 10 countries in Europe, Americas, Africa and Asia but never I had to wait for more than a month to get my visa. I’ve applied for this Canadian Visitor Visa online (GCkey) since 58 days precisely and there’s no information/feedback regarding this. It is sickening to experience this kind of system in today’s age of fast/efficient communication and information.